Udaipur is known under many titles such as ‘the Venice of the East’ and ‘the most romantic city in India’, but whatever you want to call it this city is an undeniably beautiful and intriguing place to visit. Located in the north west of India, and home to two beautiful lakes which hep to provide some of the charm of the city, Udaipur is the perfect place to visit for a relaxing luxury Indian stay. Explore the winding streets of the captivating city, or take a boat ride across one of the lakes before sitting down for some delicious Indian cuisine and heading off for the evening in your luxury hotel room. 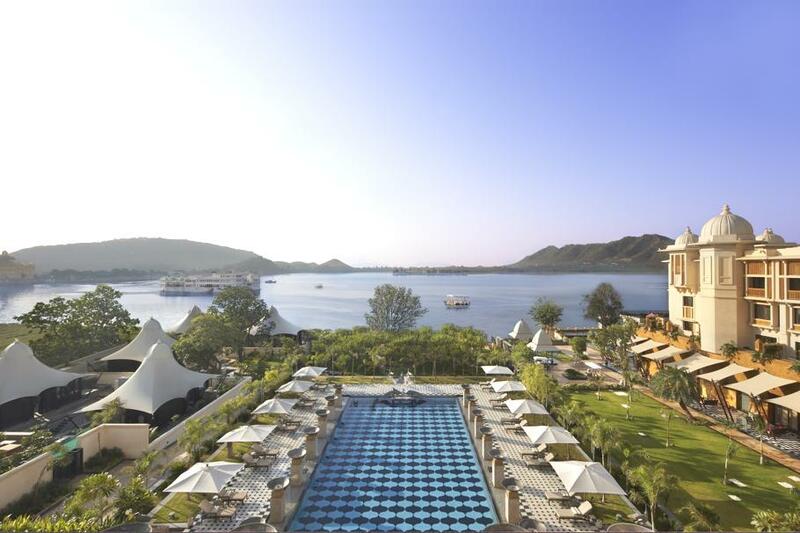 Set on the banks of the beautiful Lake Pichola, The Leela Palace Udaipur has 80 luxurious rooms and suites with captivating views of this romantic heritage city and the surrounding majestic Aravalli Mountains.